What is “the cloud”? No, it is not the fluffy white thing up in the sky, and it is not a physical object either. The cloud refers to the sharing of resources, software and information, allowing information to be stored on virtual servers and accessible via the internet. These servers are designed to manage data, run applications and deliver content or a service. Examples of cloud services include Google Drive, Apple iCloud, Netflix, Dropbox and Microsoft OneDrive. The advantage of using a cloud service is that you can access and edit information on your device anywhere in the world since it is not stored on your hard drive. 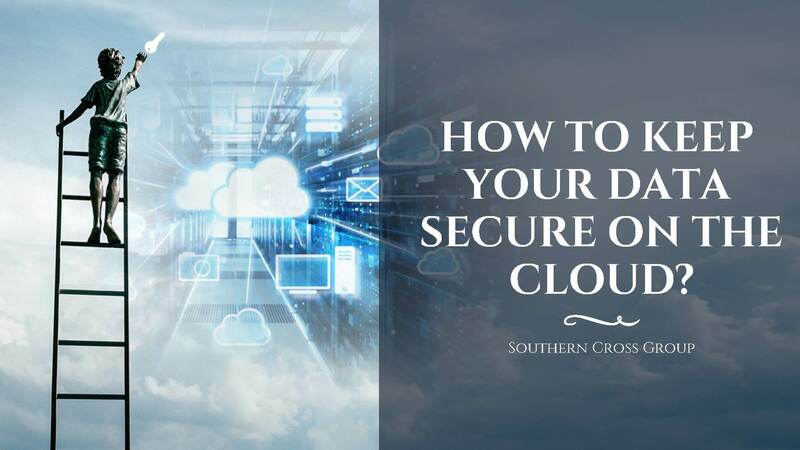 Although most cloud storage systems encode each user’s data with a specific encryption key, cloud data security has been an increasing concern. Here are some cyber security tips on how to keep your data safe on the cloud.